Originally broadcast from the Fitzgerald Theater in St. Paul, MN. 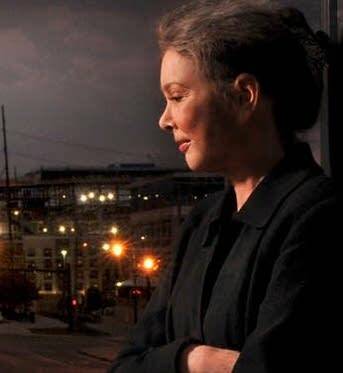 With special guests, a singer-songwriter of legendary depth and subtlety, Nanci Griffith (pictured), plus the Virginia virtuosos Robin and Linda Williams. Also with us, The Royal Academy of Radio Actors: Tim Russell, Sue Scott, and Mister Tom Keith, The Guy’s All-Star Shoe Band with Rich Dworsky and guest shoe John Niemann, and The News From Lake Wobegon.